Are Affinity files saved in the cloud or only locally? Are my Affinity documents I’ve been creating stored in the cloud or are they just stored locally? Basically, if my iPad was stolen tomorrow, would there be any way I could access my Affinity projects? If the answer’s “no”, is there a way I can sync my projects with iCloud? If I do a search in iOS Files in iCloud I can see an “Affinity” folder but it’s empty of any files. Thanks. Does that approach sync future edits with the iCloud copy? 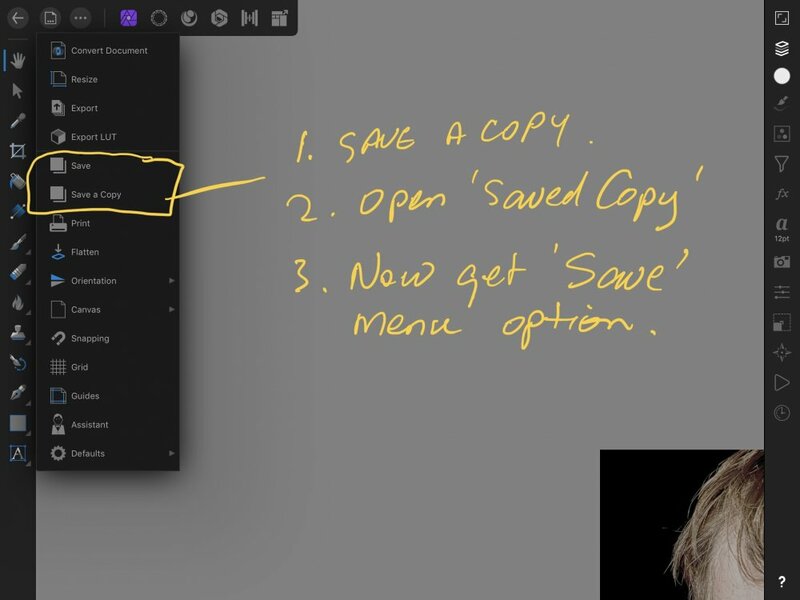 Or do I have to “save a copy” every time I’ve made an edit? An old question, but a good one. Is there an answer? 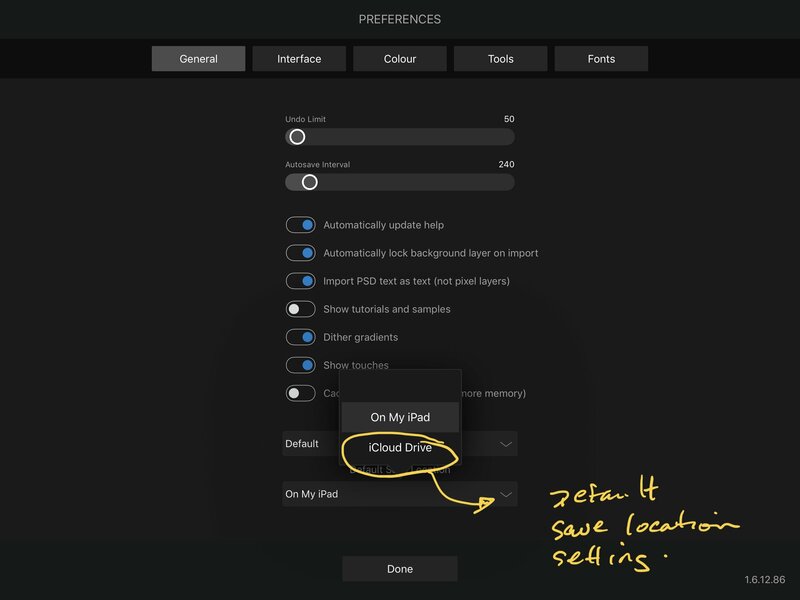 Or in Affinity Settings choose default 'Save to iCloud Drive'. Once a 'copy' has been saved, when you open the 'saved' copy a new menu item (Save Documents) appears in the Documents menu. Thanks for the image examples DM1. Using this route, does it automatically update the iCloud file or does it still need manually saving each time? I’m still a bit confused about how it works with iCloud. If you use ‘ Open from Cloud' (instead ‘ Import from Cloud'), the original file will be updated by the 'Save' menu. If you use 'import' , make edits and Save, you will save a 'new' copy containing the edits. Hope that clarifies it.